Emergency sirens sounded in the Golan Heights Wednesday night, as conflict broke out across the Israel-Syria border allegedly between Israeli forces and the Iranian forces in Syria. In turn, Israeli jets reportedly fired a barrage of rockets into Syria on Thursday, hitting several military sites. The Russian Defense Ministry said on Monday that two Israeli F-15 fighter jets had conducted an attack against Syria's T-4 base, following reports by Syrian media that the facility had been subjected to a missile strike. Russia’s Tu-22M3 long-range bombers hit Daesh positions outside the East Syrian city of Deir ez-Zor degrading the terror network’s capabilities. 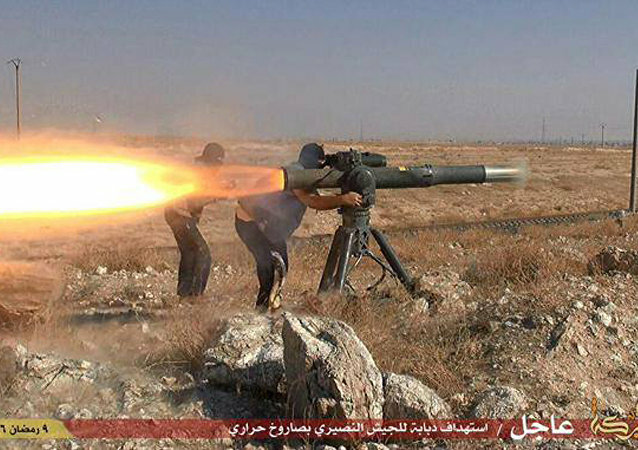 The White House took to the editorial pages of the Wall Street Journal to suggest that, if current negotiations bog down, the Pentagon would put anti-aircraft missiles in the hands of Saudi- and Turkey-supported ‘moderate’ rebel groups, including Daesh, al-Nusra and al-Qaeda, to sink the United States in another decade-long regime change quagmire. The Syrian air defense shot down an Israeli warplane violating the Arab country's air space, an Iranian news agency reported.